Can I file a nursing home malpractice suit against someone who is not a doctor? My mother's nursing home is just awful. Decent care is nonexistent. Did we just pick a terrible nursing home? What type of compensation are the surviving spouse or children entitled to receive in a wrongful death suit against a nursing home? Why do I never hear about nursing home verdicts? How long will it take to get a settlement offer in my case? Can Medicare get any of my settlement money? What is the statute of limitations in Maryland nursing home cases? Can you get punitive damages in a nursing home case? My mother was already very sick when the nursing home killed her. Can I still bring a claim? How much does it cost to hire your law firm for a nursing home case? You can file a nursing home claim against anyone who negligently caused harm. Often this is the problem in nursing home cases. Many of these tragedies involve a problem that would not be a serious issue if the nursing home staff identified the problem and took it to the appropriate health care provider who has the expertise to treat the problem. As nursing home lawyers, we get glimpses of horrors that occur on a daily basis in Maryland nursing homes. The inadequate care that nursing home residents receive is shocking. The Maryland legislature has taken some steps to combat nursing home abuse and neglect. Congress has also set standards for Medicare and Medicaid-funded nursing homes. But the abuse has not subsided. Why? Nursing homes are trying to make as much money as possible; by cutting too many corners chasing profits. In Maryland, the surviving spouse and children are entitled to receive monetary compensation for the mental anguish and emotional pain and suffering they endure as a result of losing their spouse or parent. These damages are limited only by Maryland's medical malpractice cap on damages. Take a look at specific Maryland nursing homes. Have lawsuits been filed against the facility? How are their inspection reports? Nursing homes rarely take a case to trial. Elderly care is a big business. These companies do not want people paying attention to how much money is made when it comes to taking care of the elderly. Nursing homes avoid bad publicity at all costs. ManorCare got hit with a $91 million verdict that probably cost them more than that in lost revenues than that incredible verdict. The attention from the ManorCare verdict got people talking about how awful the care the victim received at one of their facilities. If you have a meritorious case, the great likelihood is that you will receive a settlement offer. But it takes time. These cases rarely settle before a lawsuit is filed, and extensive pretrial discovery is done. Medicare is entitled to be reimbursed for the money they spent treating the harm that was caused by the negligence. Our firm has had some success in the past getting Medicare to reduce the amount that they are owed. The statute of limitations in Maryland nursing home cases is between three and five years from the negligence or death. It is best, until you are sure otherwise, to assume the statute of limitations against a private nursing home and their employees is three years. Punitive damages in Maryland require actual malice, an intent to commit harm. Very few nursing home cases involve an intent to harm a resident. While many other jurisdictions allow for punitive damages in cases where the nursing home showed a reckless indifference toward the patent's safety, Maryland does not. 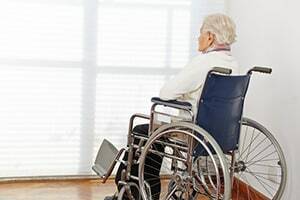 A common battlefield in nursing home lawsuits is whether the harm caused by the resident was inevitable or whether the nursing home caused or contributed to the injury. One legal standard helps us here: defendants takes their victim as they find them. The "this would never have happened to a healthy person" does not fly. Most nursing home patients have some issues. These problems are often what put the patients in a nursing home in the first place. But this does not give a license to mistreat human beings entrusted to their care. Our law firm, Miller & Zois, handles nursing home claims on a contingency fee arrangement. We only get paid if we recover money in your case and we get a percentage of that recovery. Just as important, we front all of the costs in the case. If we lose, our firm absorbs those costs. You have done all of the suffering, and we are taking on all of the litigation risk. If you or someone you care for has been injured or killed in a nursing home, our lawyers can help you determine whether you may have a claim for monetary compensation. Call 800-553-8082 or get a free online consultation.